In recent scientific studies with post-menopausal women and young children, a specific combination of calcium citrate and calcium malate was found to be more beneficial for bone tissue than other forms of calcium. This is because calcium citrate and malate are among the most bioactive forms available, offering superior absorption and utilization. 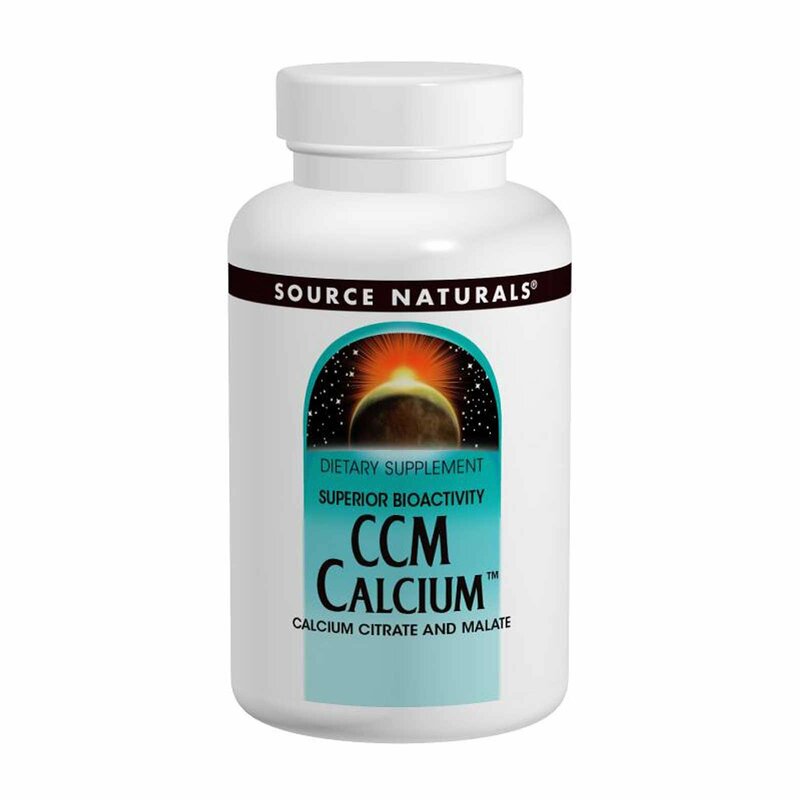 CCM Calcium is preferably taken at night, but also may also be taken during the day with meals. While research indicates that our daily intake of food usually maintains adequate calcium levels, it may not be sufficient to last throughout the night. Therefore, taking calcium supplements at bedtime offers added support until breakfast. 1 to 4 tablets daily, before going to bed or with a meal. Stearic acid, acacia gum, modified cellulose gum, silica, and magnesium stearate. Suitable for vegetarians and Hypoallergenic: contains no yeast, dairy, egg, gluten, corn, soy or wheat. Contains no sugar, starch, preservatives, or artificial color, flavor or fragrance.